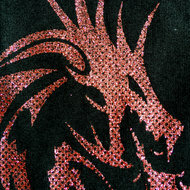 If sparkle and pizzazz are just what your design needs, consider glitter effects for your next order. 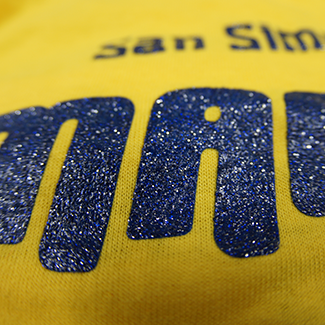 Glitter can be printed in many colors, most commonly in metallic gold or metallic silver flakes. 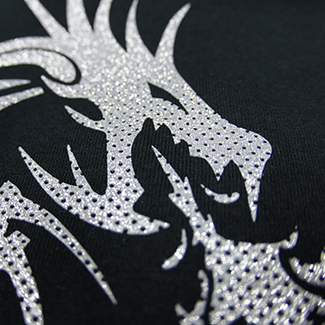 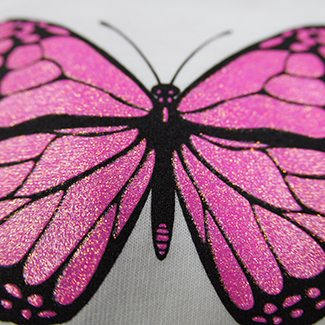 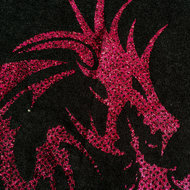 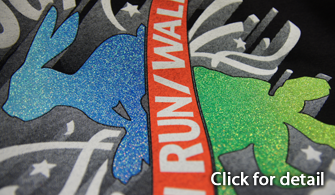 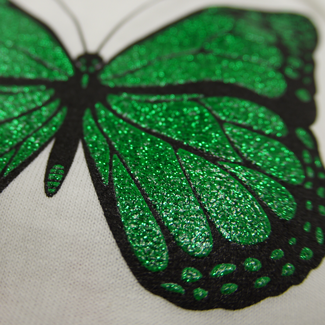 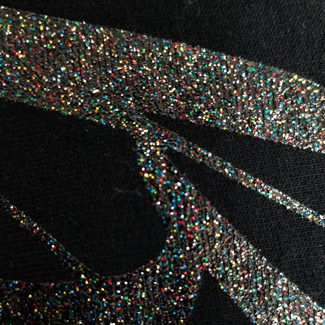 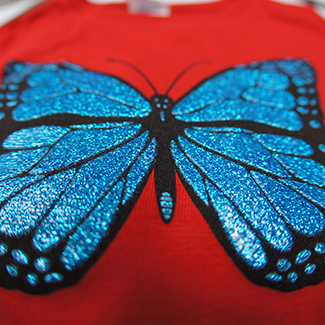 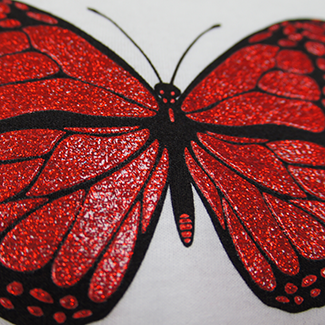 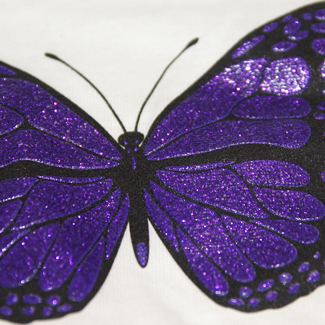 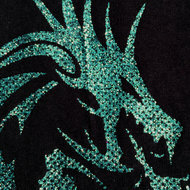 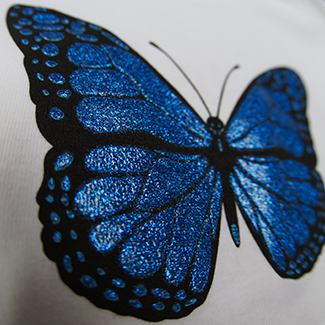 We also offer a pearlescent glitter to add a dramatic effect overtop of a multicolor print. 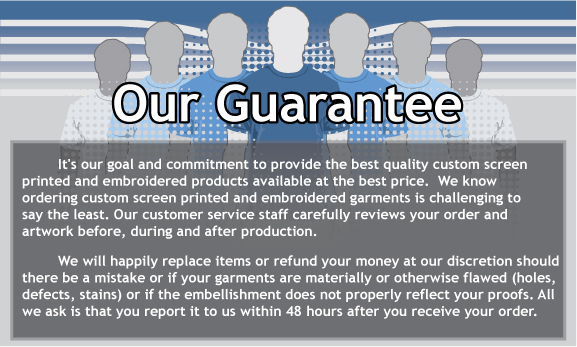 Please request a production time if your order is time critical, production times are generally longer during peak months. 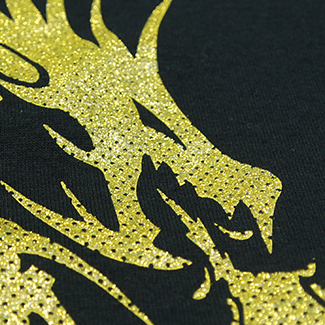 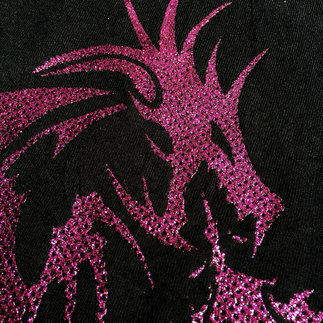 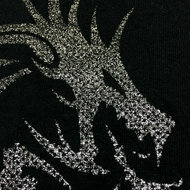 --PLEASE NOTE: the pattern of holes in the dragons shown below is a halftone effect created only for example in OUR artwork, glitter can be printed on any compatible design. this way avoiding multiple Glitter inks in one print, Crystallina counts as additional color.